Israeli lunar landing planned for 2019 We will plant Israeli flag on the moon. Unmanned Israeli spacecraft to launch for lunar landing mission in 2019. An Israeli spacecraft will land on the moon early in 2019, the SpaceIL corporation announced Tuesday, in a mission which would make Israel the fourth country to make a lunar landing. The SpaceIL spacecraft will be launched from the United States on a Falcon 9 orbital launch vehicle, built by Elon Musk’s Space Exploration Technologies Corporation, or SpaceX. At a press conference on Tuesday, SpaceIL representatives announced that the unmanned lunar landing craft will be transferred to the US in November, with a launch date in December. If successful, the mission would make Israel the fourth country to make a soft-landing by an unmanned vehicle on the moon. The USSR, US, and China have landed unmanned vehicles in “soft landings” since 1966. The US remains the only country to have undertaken a manned mission to the moon, with six successful Apollo mission lunar landings from 1969 through 1972. During its mission, the unmanned SpaceIL vehicle will plant the Israeli flag on the moon, SpaceIL CEO Dr. Ido Anteby said. “We will plant the Israeli flag on the moon,” said Anteby. “This is a small but smart spacecraft. It is 2 meters (6.6 feet) in diameter and about half a meter (1.65 feet) tall. It weighs 600 kilograms (1,323 pounds). When it lands on the moon, it will weigh 180 kilograms (397 pounds). 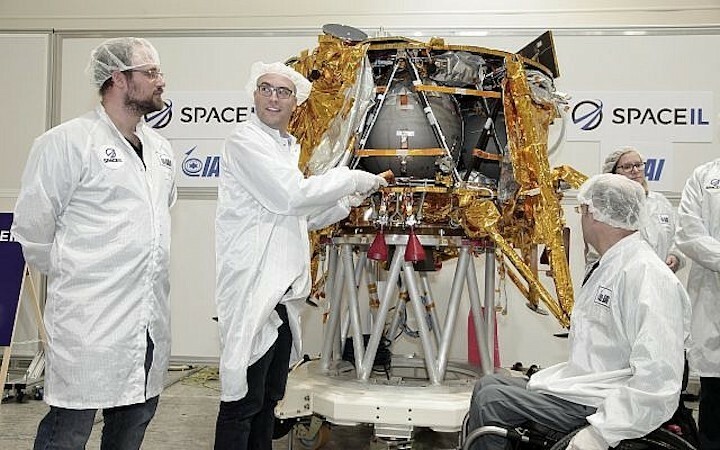 After its launch, the SpaceIL spacecraft will be carried into an Earth orbit at some 60,000 kilometers (37,282 miles) from the surface of the Earth. From there, the spacecraft will gradually make its way to the moon from an elliptical orbit around the Earth. This will make the travel time far longer than on past missions to the moon, while saving on fuel and thus reducing launch weight. SpaceIL first announced plans for a lunar landing ahead of Google’s 2012 Lunar X Prize, which promised $20 million for the first team to successfully land a vehicle on the moon. While the contest ended with no winner, in 2014 SpaceIL launched a fundraising campaign, and received $16.4 million from American Jewish donors Miriam and Sheldon Adelson. Israeli space exploration firm SpaceIL, together with Israel Aerospace Industries (IAI), will launch a spacecraft into orbit via a SpaceX rocket in December, which they intend to land on the moon in February 2019. "We will all remember where we were when Israel landed on the moon," Morris Kahn, one of the project's leaders, said announcing the mission. So far, only the US, Russia and China have landed spacecrafts on the moon. The project began as part of the Google Lunar XPrize, which offered $30 million (25 million euros) in prizes to encourage scientists and entrepreneurs to come up with relatively low-cost moon missions. With its 585 kilograms, two meters in diameter and a meter and a half high, the Israeli spacecraft will be the smallest to ever land on the moon, Ido Anteby, the CEO of the nonprofit SpaceIL said on Tuesday. Its first task however will be to plant an Israeli flag on the moon, organizers said. 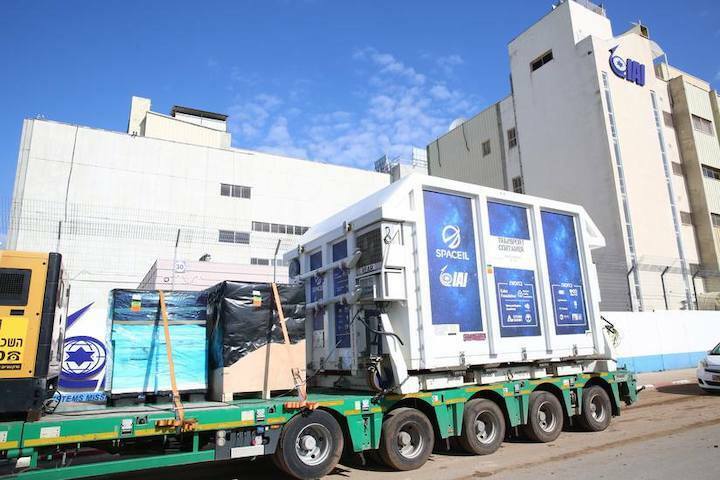 The IAI-built spacecraft, which was build in 2013, will be transferred to the United States in November, ahead of the launch. The overall cost of the project is estimated to be around $95 million. The first Israeli astronaut for NASA was Ilan Ramon, who was among those killed when Space Shuttle Columbia crashed on February 1, 2003. Ramon became the first foreign recipient of the US Congressional Space Medal of Honor, which he was awarded to him posthumously. Space Shuttle Columbia was a 16-day flight dedicated to experiments and research. Before embarking on a career as an astronaut, Ramon was an elite pilot in the Israeli Air Force, and among the few pilots who took part in the 1981 airstrike on Iraq's nuclear reactor. A Canadian Jewish billionaire gave Israel’s space effort a $5 million boost this week, a month before the country’s first spacecraft is expected to take-off for the moon. 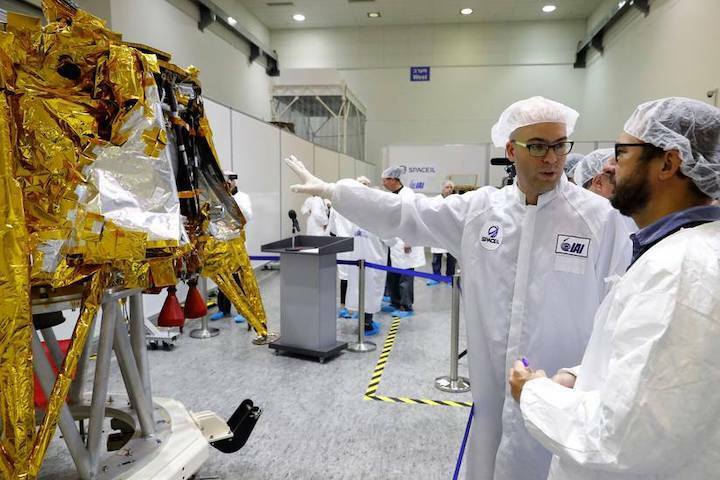 Sylvan Adams, who made aliyah in 2015 and later brought the Giro d’Italia bike race to Israel, committed the money on his 60th birthday during a tour of the facilities in which the spacecraft is being assembled. The project aims to make Israel the fourth country to land a craft on the surface of the moon, and is being led by SpaceIL, a non-profit initiative led by three friends who refused to give up after failing to win a $20 million lunar prize from Google in March. The trio hope to create an “Apollo effect” in Israel, to encourage the next generation of Israeli children to choose to study science, technology, engineering and mathematics (STEM), and Adams said this played a big part in his reasoning. “I believe that sending the first Israeli spacecraft to the moon will inspire Israeli school children to take up STEM studies and think about space exploration, and especially to believe that everything is possible,” he said. The Israeli craft is expected to launch from Florida’s Cape Canaveral next month, with a two-month journey to the moon ahead of touchdown on 13 February 2019. An Israeli nonprofit on Monday said it has pushed back the launch of what it hopes will be the first private spacecraft to land on the moon until February. 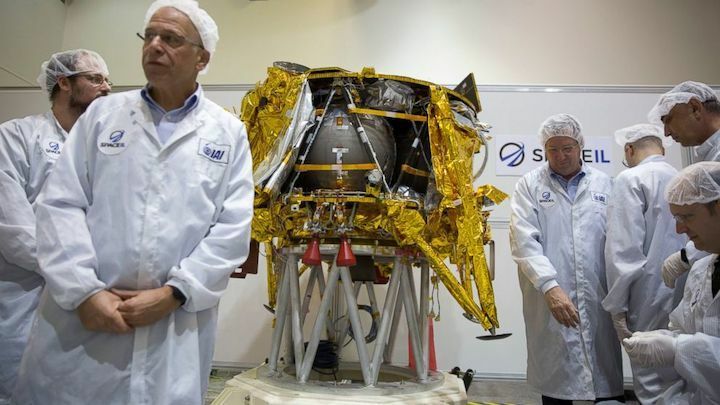 Officials from SpaceIL and its project partner, the state-owned Israel Aerospace Industries, announced that the landing craft, dubbed "Beresheet," or Genesis, will ship in February to Florida. Propelled by a SpaceX Falcon rocket launch, the robotic lander will then commence its months-long voyage to the moon. It had been slated to launch this month. SpaceIL said it had no control over the launch's delay, and that SpaceX, the private space exploration company founded by entrepreneur Elon Musk, notified them that its rocket will now lift off in February 2019 without providing an explanation. Israel Aerospace Industries manager Opher Doron stressed that the small craft, roughly the size of a washing machine, faces a "difficult, arduous journey" because it will have to make several orbits before touching down on the moon. Upon landing, the craft is to relay photographs and collect data about the moon's ever-changing magnetism for research by Israel's Weizmann Institute and NASA. On Monday, SpaceIL representatives presented a time capsule that will accompany the spacecraft to the moon. The capsule, in the shape of a DVD, holds pictures of the Israeli public, interpretive drawings by Israeli children and other pieces of national memorabilia, including stories of Holocaust survivors. "We hope that far in the future, when travel to the moon is as common as trans-Atlantic travel, that children will be able to understand the lives of their Israeli ancestors through this archive on the moon," said SpaceIL co-founder Yonatan Winetraub. A crowd of Israeli reporters, clad in sanitized white coats, burst into applause as Winetraub fastened the capsule to the underbelly of the craft. SpaceIL was founded in 2011 and originally vied for Google's Lunar Xprize, which challenged private companies to try to land an unmanned spacecraft on the moon. But the $20 million competition was scrapped by the tech giant earlier this year when it became clear none of the five companies would meet a March deadline. 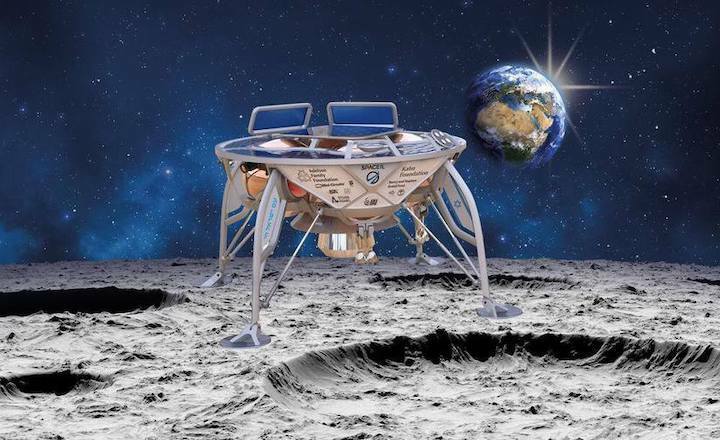 SpaceIL has vowed to continue the mission and hopes that its ambitious $95 million project, largely funded by South African-Israeli billionaire Morris Kahn and other donors, will spur a new wave of commercial missions to the moon and jump-start new companies. Israel would become the fourth country to land a craft on the moon, after the U.S., the Soviet Union and China. 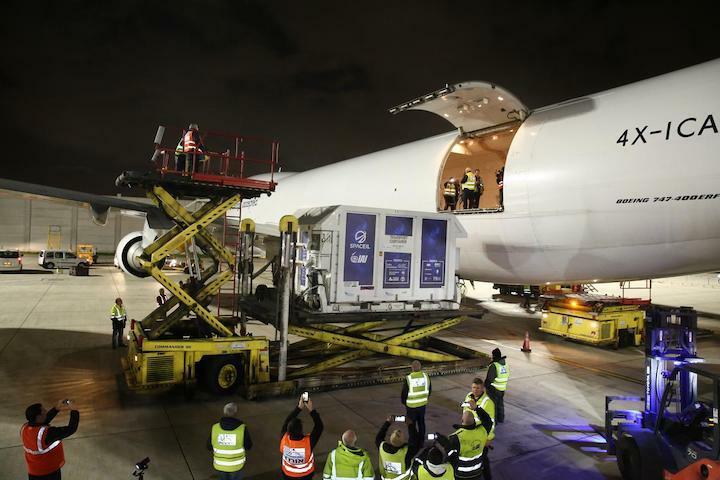 Israeli nonprofit SpaceIL and Israel Aerospace Industries (IAI)’s first lunar spacecraft began a historic journey to the moon earlier this week, when it was transported in a cargo plane from Ben Gurion Airport to Orlando, Florida, ahead of launching from SpaceX Launch Complex 40 (SLC-40) at Cape Canaveral Air Force Station next month. Upon completing its lunar mission ¬– the first in Israel’s history and the first that’s privately funded – Israel would join superpowers China, Russia and the United States in landing a spacecraft on the moon. Additional donors include Dr. Miriam and Sheldon Adelson – whose $24 million contribution enabled the project to continue – and Lynn Schusterman, Steven and Nancy Grand, Sylvan Adams, Sami Sagol and others. 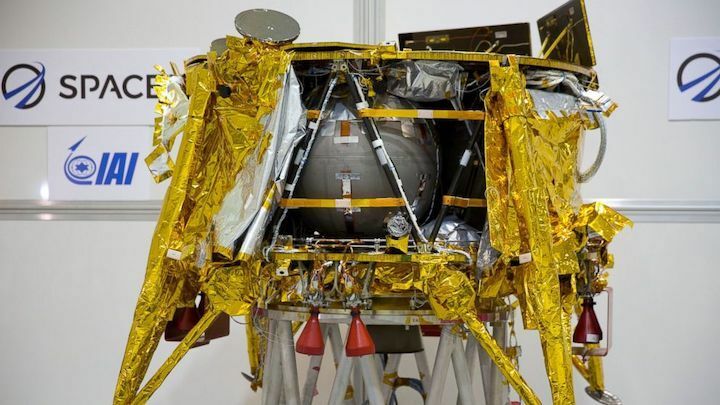 Please find below photos and a video of SpaceIL and IAI packing Beresheet, the first Israeli lunar spacecraft, into a special shipping container and then into a cargo plane. Just days before liftoff, Yonatan Winetraub reveals what sparked the idea, the planned lunar experiments and what surprising gifts are onboard. Like many good ideas, it was hatched after an evening of drinking. Three young Israelis – Yonatan Winetraub, Yariv Bash and Kfir Damari – were at the only bar in Holon, a small town just south of Tel Aviv. They made for an intriguing ensemble: a space engineer, a cyber security expert and a drone maker. As the night wore on, they came up with an audacious plan to build a spacecraft that could land on the moon. "As the alcohol level in our blood rose, we got more and more determined to do this," Winetraub recalled during a recent interview with From The Grapevine. "And it never faded away." Nearly a decade later, their alcohol-infused idea is about to make history. Their spacecraft will lift off from the Kennedy Space Center in Florida next week. If all goes as planned, the trio's ship carrying the flag of their native country will make Israel only the fourth country to ever successfully land on the moon – after the U.S, Russia and China. Moreover, it will mark the first-ever privately funded trip (i.e. not paid for by a government) to land on the lunar surface. "It's going to be the conclusion of 8 1/2 years of really hard work," Winetraub said. "When we started it, we had no idea if it was actually going to succeed." To paraphrase the old Chinese proverb: The journey of thousands of miles begins with one step. Or a beer. Their lunar aspirations came at a propitious time. For years, NASA has been moving away from moon missions, opting instead for routine trips to the International Space Station as well as hyping a glitzier journey to Mars. Billionaires like Elon Musk, Jeff Bezos and Richard Branson have stepped in to help fill the void. As did Google. Back in 2007, the Silicon Valley tech giant established the Google X Prize. It offered $20 million to the first team to land a rover on the moon and send back high-definition video. Groups from all over the world signed up, hoping to take part in this modern-day space race. The three Israelis – who called their team SpaceIL – excelled in the competition, quickly separating themselves from the pack by becoming one of the top three teams. (Bash played double duty during this time, also launching a company that builds drones that deliver burgers to golfers.) As the contest waged on, Google had to keep pushing back the deadline to allow more time for the teams to work. In early 2018, with no team able to meet the latest deadline, Google withdrew the prize money. But SpaceIL was so close to finishing the project, only months away from completion. They decided to keep going, and that bet paid off. In total, thanks to around $100 million in private donations, they pulled off the unthinkable. The ship was completed in late 2018. A dedication ceremony in December christened the spacecraft the Beresheet, Hebrew for "Genesis." In January, it was shipped from Israel to the United States, where it has taken up residence at Cape Canaveral to undergo final tests before the launch. It's no surprise that the ship, which is about the size of a smart car, will be the smallest spacecraft ever designed for a lunar landing. Since the launch of Israel's space program during the 1980s, the Mediterranean country has been forced to innovate. Most countries launch rockets eastward, in conjunction with the Earth's rotation. "The Earth's rotation has some velocity to it and that can give you an extra push to go to space," Winetraub explained. But due to geographic limitations, Israel launches its spacecrafts westward, toward the Mediterranean Sea. "Not only don't we get the extra push from the Earth's velocity, but we get the push in the opposite direction." To counteract this takes more fuel and more efficiency. Israel has become so successful at making lightweight space equipment and satellites that other countries – like the U.S., Germany and France – have entered into cooperating agreements with Israeli space companies. Another cost-efficiency method is not flying to space on your own. Instead, SpaceIL will be hitching a ride aboard a SpaceX rocket. Think of it like an Uber carpool ride into space. "It's less of a piggyback, and more like a ride-share," Winetraub told us. "There are passengers in the front seat and passengers in the back seat all going up to space. Because we're getting off last, other payloads get dropped off first. So it takes a while." A trip to the moon would normally only take days. But because SpaceIL will be the last passenger to be dropped off, it will take about 2 1/2 months. Winetraub predicted it would be around late April before their ship lands on the moon. Winetraub will be in Florida next week to watch the launch firsthand, while others from SpaceIL will be stationed at a ground control center in Israel, where they will begin receiving signals from the Beresheet. "In a sense, it's like the birth of a spacecraft. There's a lot of work to be done." Despite all their rigorous pre-launch testing, there's only so much they can do to prepare. The ship has never been exposed to the actual rigors of interplanetary space travel, so anything is possible. "It's a complicated engineering process with so many parts," Winetraub said. "We have the best engineers in Israel working on this. We're hoping everything goes smoothly, but you actually don't know." The trip is more than just a history-making venture and will embark on some scientific research. Once it lands, it will conduct experiments on the moon's magnetic field. NASA recently installed some of its own monitoring devices onto the ship as well. Equipped with an external camera, the craft will also be able to broadcast video of what it's seeing back to mission control here on Earth. This will be a one-way trip, as the spacecraft will remain on the moon for future explorers to discover. SpaceIL has placed a time capsule aboard the ship consisting of three discs – each containing hundreds of digital files. Among them are drawings by Israeli children, MP3 files of Israeli songs and photos of Israeli landscapes. "It is very possible that future generations will find this information and want to learn more about this historic moment," Winetraub mused. SpaceIL is also hoping their lunar landing becomes an educational calling card, something akin to JFK's inspirational "We choose to go to the moon" speech. "Kids today in Israel and also in the U.S., they're not as interested in science and engineering because it's harder. It's much easier to watch reality TV," said Winetraub, who himself admitted to watching "The Real Housewives" in his spare time. "But especially here in the Startup Nation, we need scientists and engineers. So we wanted to shift the attention towards that direction." He hopes this message resonates with the next generation. "We live in an era when these kids are going to be able to make their own rocket ships, or solve global warming, or clean up the oceans or whatever it is that they want to do. The technology is going to catch up with their dreams," he said. Through public lectures and other activities, SpaceIL has already reached more than a million kids. They've also created an online course for students about space travel, and a children's book called "The Little Spacecraft" will be published. "This is something we're very proud of," Winetraub told us. "When you see the spark in the kids and you see how excited they are, it affects you as well. It kind of fills you up to see the sparks in their eyes." As if shepherding a space journey wasn't enough, it's only one of the big-ticket missions in Winetraub's life. The countless hours of work on the SpaceIL project has put the 32-year old Tel Aviv native a tad behind in his schoolwork. He's currently a Ph.D. student at Stanford, researching ways to detect cancer at a much earlier stage. "The sooner you detect it the more likely you are to be cured from it," he said. He sees parallels between the two paths of his life's work, pointing out that both cancer research and space travel have seen incredible progress in the past decade. When asked which field he considers harder to crack, he didn't have to think long. "As much as a spaceship is complicated machinery, the human body is much more complicated and well engineered." He also said he hopes to himself travel to space one day. But, for now, that trip is on the back burner as he makes final preparations for the Beresheet's launch. Before hanging up, he left us with this plea: "Please cross your fingers because this is a hard mission and we need all the help that we can get." A nonprofit Israeli consortium said Monday that it hopes to make history this week by launching the first private aircraft to land on the moon. SpaceIL and state-owned Israel Aerospace Industries told a news conference that the landing craft — dubbed "Beresheet," or Genesis — will take off from Florida, propelled by a SpaceX Falcon rocket on its weekslong voyage to the moon. 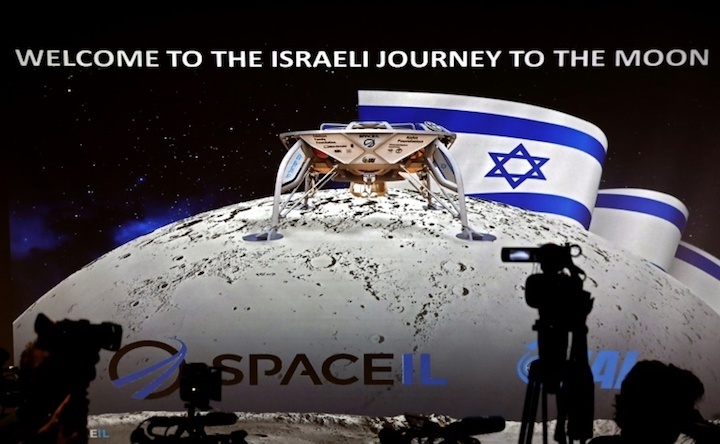 SpaceIL has attempted to drum up public excitement for the lunar mission in Israel in recent months, visiting classrooms around the country and sponsoring television advertisements that put Israel on par with global powers. The small craft, roughly the size of a washing machine, is equipped with instruments to measure the moon's magnetic field, as well as a copy of the Bible microscopically etched on a small metal disc. Israel's space program chief Avi Blasberger said he hopes SpaceIL will create a "Beresheet effect" in Israel, akin to the Apollo effect, to promote science among a new generation. SpaceIL was founded in 2011 and originally competed for Google's Lunar Xprize, which challenged private companies to try to land a robotic spacecraft on the moon. But the $20 million competition was scrapped by the tech giant last year when it became clear none of the five companies would meet a preset deadline. The SpaceIL project has ballooned in cost over the years to around $100 million, financed largely by South African-Israeli billionaire Morris Kahn and other donors from around the world. Kahn said he believes that "every Jew, not only every Israeli, will remember where he was when Israel landed on the moon." Likely to be the third orbital-class launch for the booster in question, SpaceX’s next launch – led by primary customer Pasifik Satelit Nusantara (PSN) – has the potential to lay claim to multiple major spaceflight “firsts”, ranging from the first time a twice-flown Falcon 9 has launched on the East Coast to the world’s first attempt to land a commercial spacecraft on another planetary body – the Moon, in this case. SpaceX has completed the final critical test milestone of the mission’s flight-proven Falcon 9, filling the rocket with propellant and successfully static firing the booster on the evening of February 18th. According to SpaceX, all remains on schedule for a February 21st launch attempt from Cape Canaveral Air Force Station (CCAFS) Launch Complex 40 (LC-40), with liftoff currently targeted for 8:45 pm EDT (01:45 UTC). 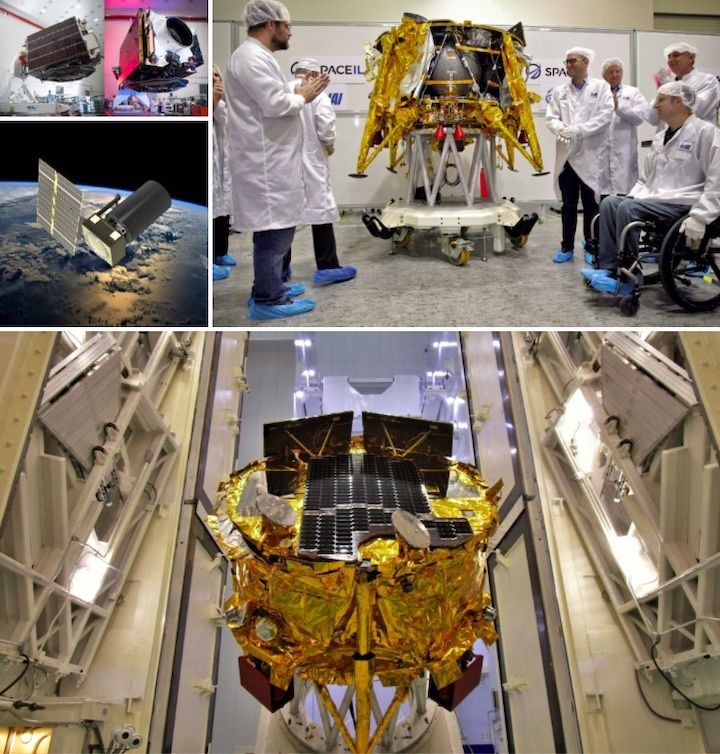 Shepherded by rideshare industry leader Spaceflight, the PSN-6 rideshare – known by SI as GTO-1 – has the potential to open up a new and highly useful realm of spaceflight previously all but closed off to customers lacking tens of millions of dollars for launch costs. While it’s unclear how exactly Spaceflight worked with SSL and/or PSN to make it happen, the mission profile and its potential are both fascinating and complex. In a late-January interview with Spaceflight’s Mission Director Ryan Ostello, the senior manager was audibly excited about the future potential of Spaceflight’s new GTO (and GEO) offerings and the many ways that they could change the game for a number of companies and startups with far smaller but no less capable spacecraft. Including startups Astranis and Terran Orbital and industry stalwart SSL, interest in small geostationary satellites has never been higher, and a number of pathfinder missions in 2020 and 2021 – if successful or at least promising – could mark a paradigm shift for the geostationary satellite communications industry as a whole. Often sized perfectly (100-500 kg) for a handful of in-development smallsat launch vehicles like Relativity’s Terran, Firefly’s Beta, and ABL Space’s RS-1, it will likely be several years before those new rockets are capable of reliably supporting these much smaller launches, leaving rideshare missions as the only real route for interested customers until the early to mid 2020s. In the process of undertaking this milestone geostationary rideshare, Spaceflight had to design, build, and test custom hardware needed to protect the AFRL’s S5 spacecraft on its multi-week ridealong from geostationary transfer orbit to PSN-6’s geostationary orbit destination, as well as unique mounting hardware needed to load SpaceIL’s Beresheet spacecraft atop the main satellite host. In fact, GTO-1’s mission profile is impressively complex, requiring multiple mission-specific maneuvers and separation events to detach Beresheet shortly after the entourage separates from Falcon 9, carry S5 to a geostationary graveyard orbit (GEO + ~300 km) to separate Spaceflight’s custom hardware, return to a lower orbit to deploy the Air Force satellite, and finally insert PSN-6 into its final operational orbit. The fact that the first primary passenger (by weight) of GTO-1 is a mission as groundbreaking as the commercial Beresheet Moon lander is also by no means a coincidence according to Ostello, a feeling that was rapidly backed up by an agreement between IAI and European company OHB to potentially use Beresheet-derived landers to deliver European payloads to the Moon. Ostello expressed a similar interest and optimism a few weeks prior to that announcement. While not directly involving Spaceflight, the fact that IAI (Beresheet’s manufacturer) is interested in producing more landers for other customers essentially opens the door for Spaceflight or other commercial or governmental entities to purchase future landers for customer payloads or arrange their launch to the Moon. Set to launch on an unspecified Falcon 9, process of elimination (i.e. which boosters are in Florida) implies that PSN-6/GTO-1 will feature either Falcon 9 booster B1047 or B1048, two flight-proven boosters with no know missions assigned that are also known to be in Cape Canaveral. B1047 last launched the Es’hail-2 satellite in mid-November, while B1048 completed its second launch (from California) in early October before shipping to Florida for unknown reasons. With B1048 situated in 39A’s hangar, the lack of any reports of a booster moving from 39A to 40 suggest that B1047 was the Falcon 9 that successfully conducted its third on-pad static fire last night. Shortly after launch, the Falcon 9 booster will make its way to drone ship Of Course I Still Love You (OCISLY) – located ~650 km (400 mi) off the coast of Florida – for what will be the second time ever that SpaceX has successfully launched and landed the same Falcon 9 booster three times, following on the heels of B1046’s third launch last December. SpaceX fairing recovery vessel Mr. Steven also arrived at Port Canaveral last week after a nearly 8000 km (5000 mi) journey from Port of Los Angeles, raising the possibility of his first attempt at a fairing catch on the East Coast. Israel hopes to become the fourth country in the world to land a spacecraft on the moon, with the launch of the unmanned spacecraft Beresheet from Florida’s Cape Canaveral this Friday. If successful, the 160-kilogram (350 pounds without fuel), four-legged spacecraft will also be the smallest and cheapest spacecraft to land on the moon. The $100 million (NIS 370 million) spacecraft is a joint venture between private companies SpaceIL and Israel Aerospace Industries, funded almost entirely from private donations from well-known Jewish philanthropists including South African billionaire Morris Kahn, Miriam and Sheldon Adelson, Lynn Schusterman, and others. Beresheet will lift off from Cape Canaveral at approximately 3:45 a.m. IST on Friday (8:45 p.m. Thursday EST), catching a ride on one of Elon Musk’s SpaceX commercial space launches. Once airborne, the spacecraft will detach from Musk’s Falcon 9 rocket after about half an hour and begin its seven-week journey to the moon. Beresheet will circle Earth six or seven times in a series of growing ellipses before jumping into the moon’s orbit on April 4. 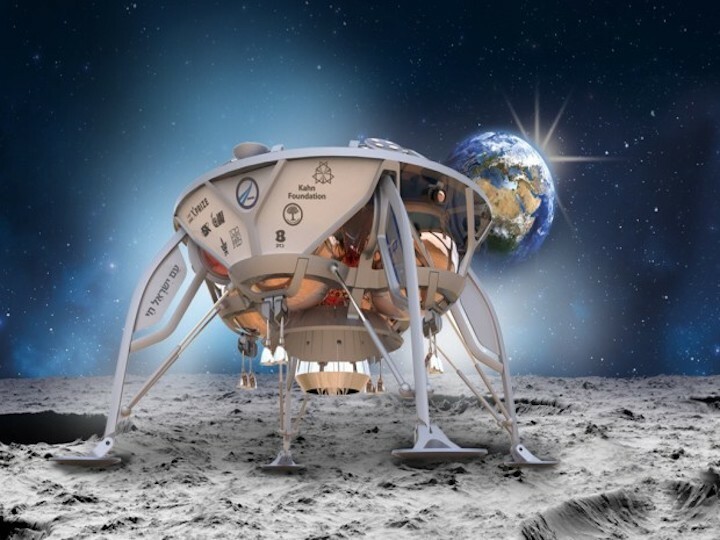 Beresheet will land on the moon in between the detritus left from the Apollo 12 and 15 missions in the Sea of Tranquility, on April 11 around 8 p.m., give or take an hour, according to SpaceIL CEO Dr. Ido Anteby. “Usually, these kinds of projects come from government agencies of major superpowers,” Anteby added. SpaceIL was the only Israeli contestant in the international Google LunarX PRIZE competition, which offered participants a chance to win $20 million by landing an unmanned spacecraft on the moon. Google ended the contest officially on March 31 with no winner. 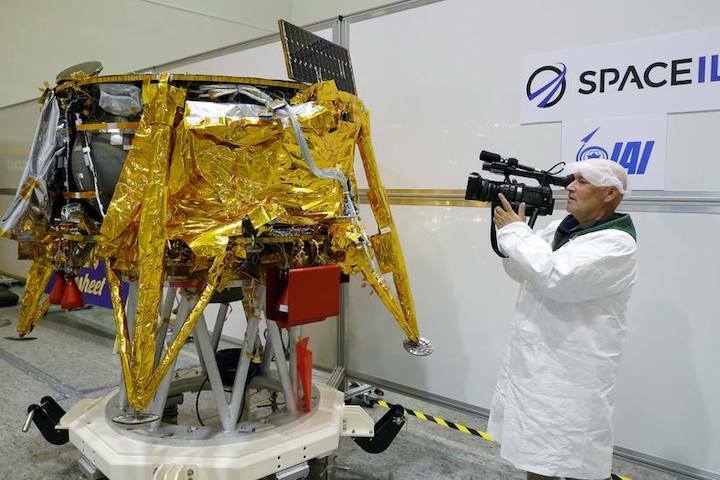 But the group behind SpaceIL decided to continue its mission, turning to donors to help fund the bare-bones operation. The Beresheet spacecraft will measure magnetic fields on the moon, data which will be transferred to the Weizmann Institute to help scientists study how the moon was formed millions of years ago. Beresheet will send information for approximately two to three days before the sun’s rays are expected to melt parts of the communication system, ending the mission. Although scientists are interested in the hard data that Beresheet is expected to gather, Dr. Ofer Doron, the general manager of the Space Division at Israel Aerospace Industries, said one of the main goals of the spacecraft is education. 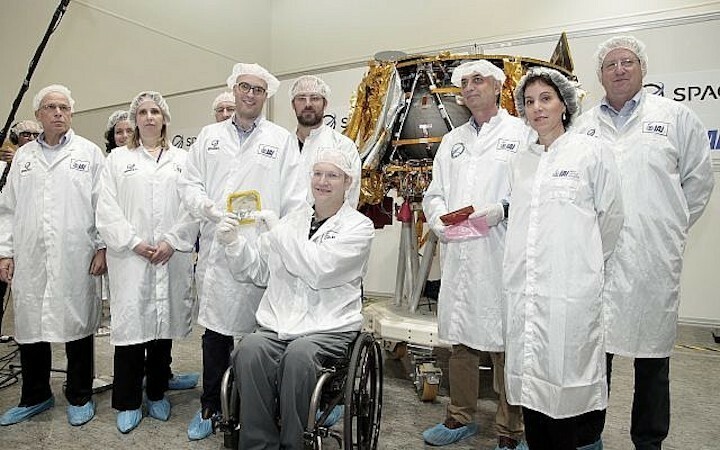 The Beresheet team is rolling out a number of educational initiatives along with the Education Ministry to help students follow the spacecraft’s journey, including special kits for teachers and a free smartphone app. President Reuven Rivlin will host a pajama party with students on Thursday night, staying up until 3:45 to watch the launch at the President’s Residence in Jerusalem. The project employs more educators than engineers, in an effort to ensure that the spacecraft’s journey and moon landing reach as many students as possible, said Daniella Geron, a ground segment system engineer responsible for coordinating between the various teams and the spacecraft. 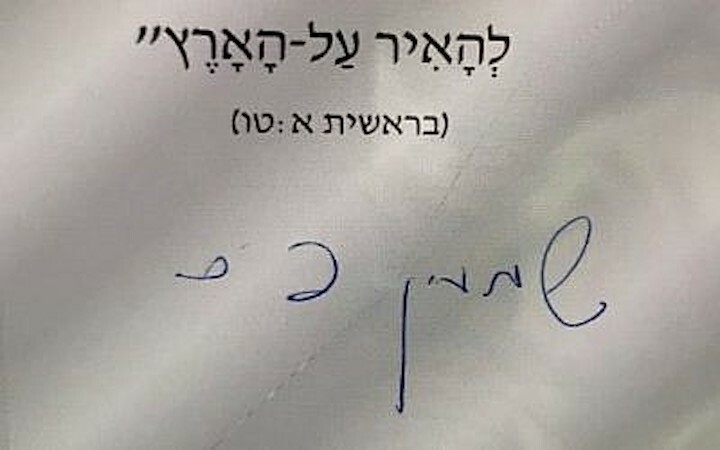 The spacecraft is carrying a Hebrew Bible inscribed with nanotechnology on a small metal circle the size of a 5 shekel coin, and a time capsule with Israel’s Declaration of Independence and national anthem, the memories of a Holocaust survivor, children’s drawings of space and the moon, the Traveler’s Prayer and a note from the late former president Shimon Peres. The Beresheet Command Center is in Yehud, about 10 miles southeast of Tel Aviv, where the spacecraft was built and tested, including spending 10-day periods in a massive vacuum that blasted the spacecraft alternately with extreme heat and cold in order to ensure it can stand up to the wide temperature fluctuations in space. In order to cut down on cost and weight, the Beresheet does not have duplicate systems. Most spacecrafts carry duplicate solar panels, communication systems, and other technology, so that if there is a failure, the backup system can kick into place and the mission can continue. With Beresheet, if any piece of equipment fails, the whole project is lost. Beresheet will travel at speeds of 36,000 kilometers per hour. When it is at its farthest point, approximately 400,000 kilometers away from Earth, the team will be able to communicate with the spacecraft only if Beresheet’s location can be pinpointed within a few meters. A team of engineers is currently training with NASA satellites to help prepare them for the lunar landing. The team will have just one opportunity to land on the moon, though it might be able to try again if it misses the first window, Anteby said. The project almost didn’t happen, a near-casualty of US President Donald Trump’s extended government shutdown. The spacecraft was packed and ready to go in Israel in late December, but still waiting for customs clearance, when disagreements over Trump’s border wall shuttered the American government for 35 days. If Beresheet hadn’t arrived in America in time to be assembled for the SpaceX launch, the entire project would have fallen apart, said Morris Kahn, the 89-year-old president of SpaceIL. Kahn worked a number of contacts to obtain approval from US Customs despite the government shutdown, and the spacecraft arrived in Florida in time to make the launch. The moon landing also opened new avenues for cooperation with Israelis and NASA, which is excited about the project’s low cost and hopes to make it a prototype for future moon landings if the operation is successful. “How much hutzpah [arrogance] is it to think you can get to the moon with $100 million?” Doron asked. “Maybe we should have named it hutzpah instead of Beresheet.” The public chose the name Beresheet, the Hebrew name of the Book of Genesis, in a poll run by SpaceIL in July 2018. SpaceIL and Israel Aerospace Industries have also signed agreements with German space agency OHB in addition to NASA. “There is a trend that now a lot of space agencies want to go back to the moon, so there’s an opportunity here for commercialization,” said Doron. He noted that Israel’s moon landing will bring enhance national pride as well as bring commercial opportunities. 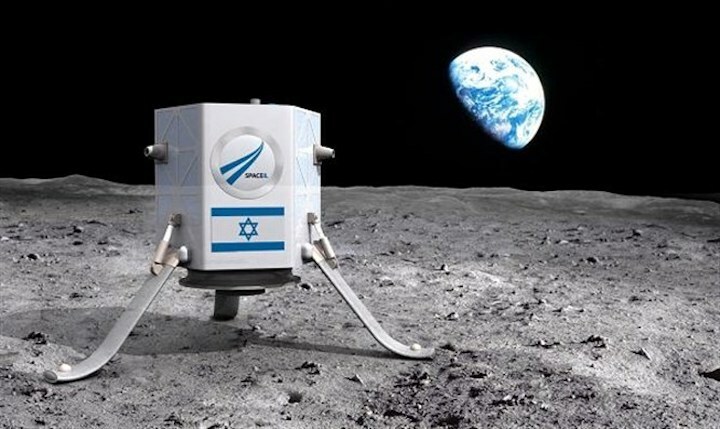 Raumfahrt - Israeli lunar landing planned for 2019 'We will plant Israeli flag on the moon.' Unmanned Israeli spacecraft to launch for lunar landing mission in December 2018. Raumfahrt - Start von SpaceX Falcon 9 for Israeli spacecraft world’s first commercial Moon mission Raumfahrt - Israeli lunar landing planned for 2019 We will plant Israeli flag on the moon. Unmanned Israeli spacecraft to launch for lunar landing mission in 2019.